Are you curious about the world of science? 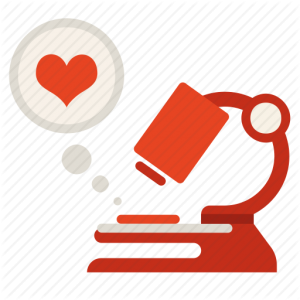 Do you crave to find new and exciting things about physiology? Well, I do! Last summer, I had the opportunity to work in a research lab at the University of South Florida Morsani College of Medicine. Furthermore, I was able to renew my APS STRIDE fellowship and continue to work in Drs. Jessica Dominguez Rieg and Timo Rieg’s lab. During my time at the lab, my research project expanded on my work from last summer involving a transporter called the sodium/hydrogen exchanger (NHE). NHE is used to exchange sodium for hydrogen across a cell’s membrane. There are several different isoforms of NHE; however, my project focused on the isoform NHE3. 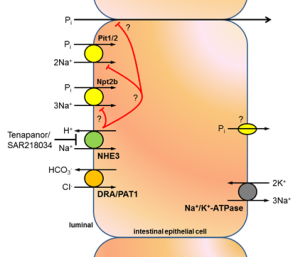 When NHE3 is genetically deleted from a mouse, called a whole animal knockout, they absorb or reabsorb sodium from the intestine or kidney. Consequently, the NHE3 knockout mice have severe diarrhea, low blood volume, and low blood pressure1. Furthermore, since NHE3 transports hydrogen, it also plays an important role in acid-base regulation. Moreover, NHE3 is also significant for balancing fluid and the regulation of blood pressure. Last year, my studies concluded that the inducible deletion of NHE3 only in the intestine causes fluid accumulation in the intestine and metabolic acidosis. This year, my research project remained focused on the role of intestinal versus renal NHE3 and its effects on phosphate homeostasis and blood pressure regulation. Moreover, my research is significant as nothing like this has been done before! Additionally, there are currently drugs on the market that block NHE3, one example is Tenapanor, which helps to lower blood pressure or high blood phosphate levels; however, the mechanisms of how they work are unclear. As of last year, I saw significant changes in acid-base regulation. Hopefully, this year I will be able to determine how NHE3 affects phosphate homeostasis. Furthermore, I hope I am able to produce more data in order to help answer these ongoing questions about NHE3 and its effects on phosphate homeostasis and blood pressure regulation. Thus far, I have been conducting physiological experiments to determine changes in fluid and food intake, collecting blood and urine for further analysis. My project is still being conducted but I am excited to see the results! I love being part of a research lab! Working with people who share the same passion and love discovering new things is amazing! Although I love doing research, the hours can be long. Having to work 8 plus hours a day during the week can be tiring and then having to come in again on the weekends, but I’ll tell you it’s all worth it! One thing I learned is experiments are a process and take time. Last year I thought working in a lab would be similar to being in the labs at the university that were required for your major, but they’re not. Even though they are very different, I still loved every moment I came into work! I am so thankful for this opportunity that APS and my mentors allowed me to expand my knowledge and skills. I am forever grateful for this experience. McDonough AA. Mechanisms of proximal tubule sodium transport regulation that link extracellular fluid volume and blood pressure. Am J Physiol Regul Integr Comp Physiol 298: R851–R861, 2010. doi:10.1152/ajpregu.00002.2010. Alexandria Valdez is a Senior majoring in Biomedical Science and minoring in Psychology at the University of South Florida in Tampa, FL. 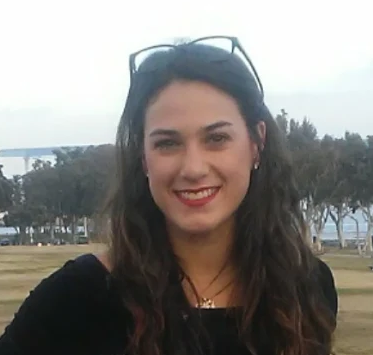 Alexandria is a 2018 second year Short-Term Research Education Program to Increase Diversity in Health-Related Research (STRIDE) Fellow working in Dr. Jessica Dominguez Rieg and Dr. Timo Rieg’s lab at the University of South Florida Morsani College of Medicine in Tampa, FL. Alexandria’s fellowship is funded by the APS and a grant from the National Heart, Lung and Blood Institute (Grant #1 R25 HL115473-01). Upon graduation, Alexandria wishes to pursue a career in biomedical science as a research scientist.